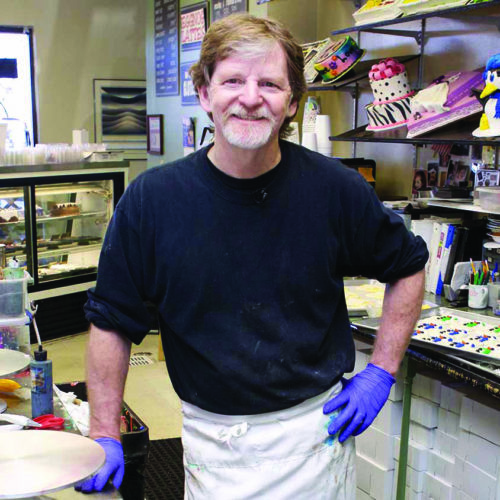 In this case, two homosexuals asked a cake shop owner, Jack Phillips, to make a wedding cake for them. Jack explained that his Christian convictions would not allow him to do so. The homosexual couple filed a complaint against Jack and the business with the Colorado Civil Rights Commission, claiming they had violated Colorado’s anti-discrimination laws. The Commission ordered Jack to make the cake. He appealed that decision through the state court system and ultimately to the Supreme Court of the United States. The Supreme Court has not yet rendered its decision. We were involved in two briefs in this case. In the first brief, we along with the Pacific Justice Institute and the Congressional Prayer Caucus Foundation, served as amici—that is, as “friends of the Court—to explain that laws such as Colorado’s were unconstitutional to the extent that they compel Christian—and all religious—business and business owners to speak messages and associate with events that violate their religious convictions. In the second brief, we served as the attorneys and were proud to represent our friends at Concerned Women for America. In this brief, we refuted the argument, so often made by homosexual activists that homosexuals are a disadvantaged group, deserving of special protections that the laws don’t offer other groups. We documented the power of homosexual activists, lobbyists, and citizens in the areas of economics, political power, public opinion, and liberal religious groups.